I am the worst gift-receiver. I hate being the center of attention, even for those few seconds of gift unwrapping. All eyes staring at me, anticipation building, expectant smiles as I squirm, sweat, blush… agh… moving on! I’m a much better gift-giver. So here, from least expensive to most, are my suggestions for presents that are sure to thrill your loved ones, unless of course they’re introverts. In that case, tell them what they’re getting ahead of time. Trust me, it helps. Hello?! Do I really need to explain why this should be in everybody’s stocking this year? 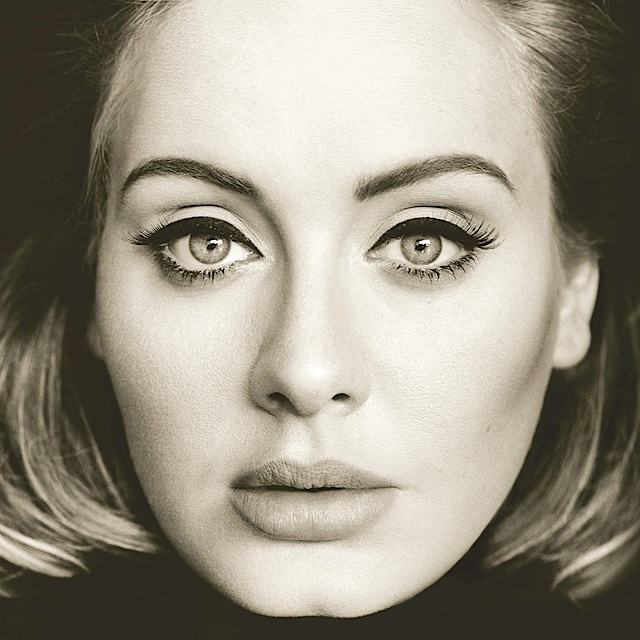 With a release date of November 20, Adele’s third studio album has universal appeal. It’s not only perfect for that lesbian friend still crying over their ex, but also for your mom, your sister, your boss or your Uber driver. 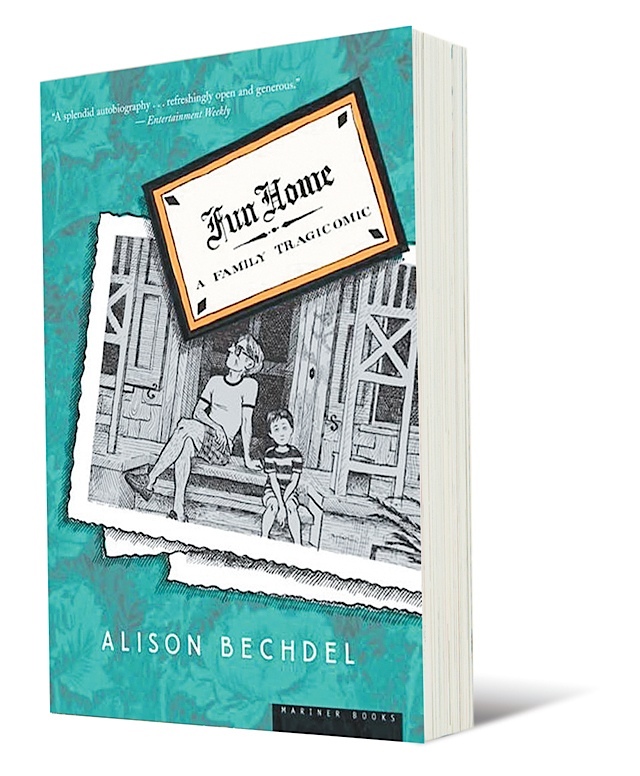 Bechdel’s autobiography certainly isn’t new, but with the Broadway version of this graphic novel winning the 2015 Tony Award for Best Musical, it’s time for those who haven’t read it yet to pick it up, and for those who have to revisit. The story details growing up with a closeted gay father, whose scandals overshadow his daughter’s coming to terms with her own homosexuality. Despite the dark subject matter, it’s an oftentimes funny read. A donation in honor of your friend to Heifer International is ideal for the person who wants to change the world and rebuffs material goods. 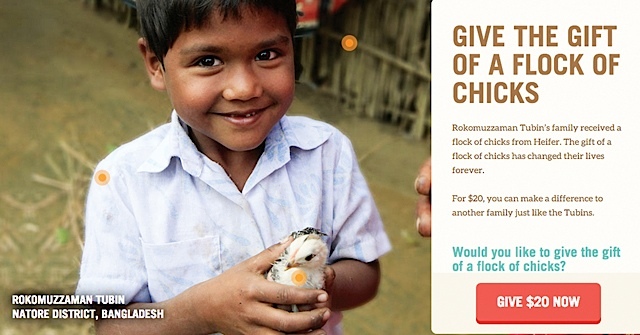 Purchasing the gift of animal for a family across the world provides them with nutrition, or the means to self-sustain. Flocks of baby birds start out at $20, with the option of numerous other animals varying in price up to a cow at $500. Let the holidays be a time to make a difference. 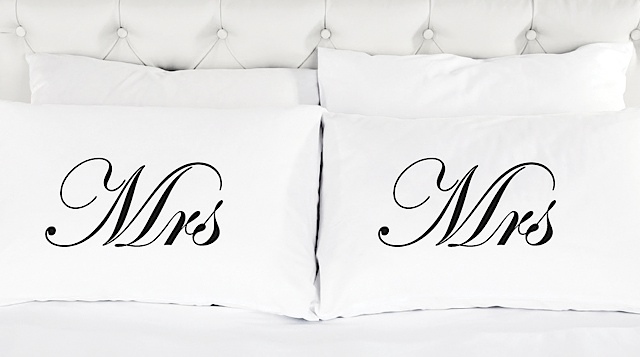 This elegant pillowcase set will bring a smile to the face of that couple who… oh, who I am kidding? My wife. My wife said she wanted these. So if they’re on my holiday list, maybe they should be on yours? 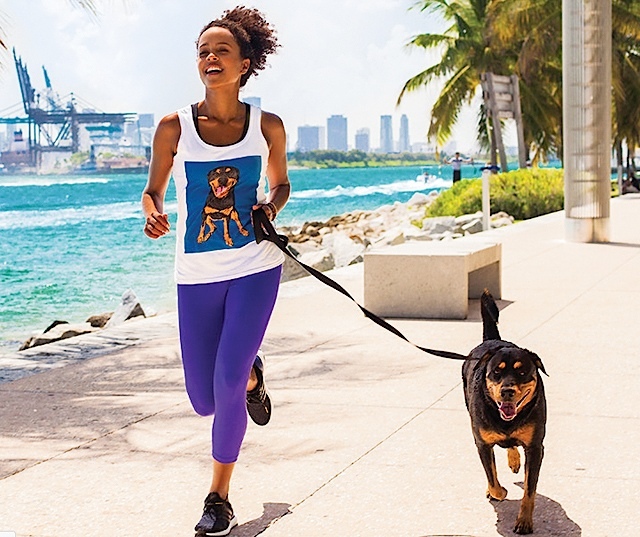 Who doesn’t want to wear their dog’s mug on a shirt? Submit a picture of a precious pet and the people at Pop Your Pup will prepare the pet’s portrait in modern pop art à la Andy Warhol. Now say that sentence five times fast. 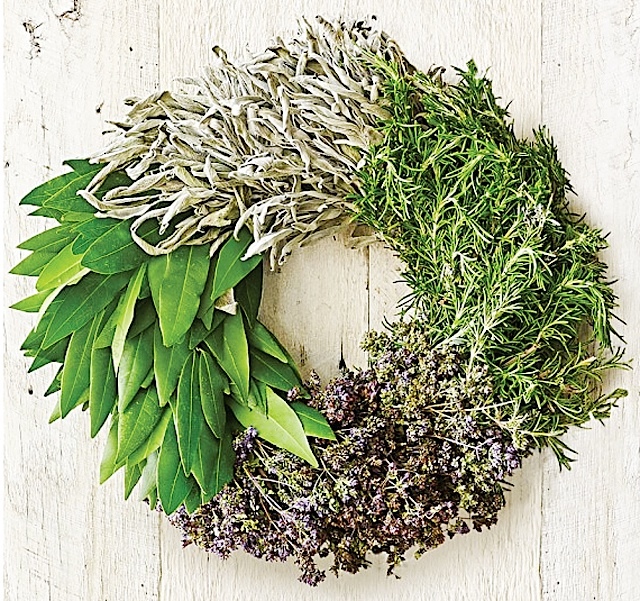 Both functional and aesthetic, this aromatic handmade wreath features a collection of fresh herbs (bay leaf, sage, rosemary, and oregano) that will dry throughout the year for the use of your culinary enthusiast gift recipient. Gift this, and perhaps fancy dinner party invites will be your reward. Is there something in the water? First marriage equality and now the baby boom! 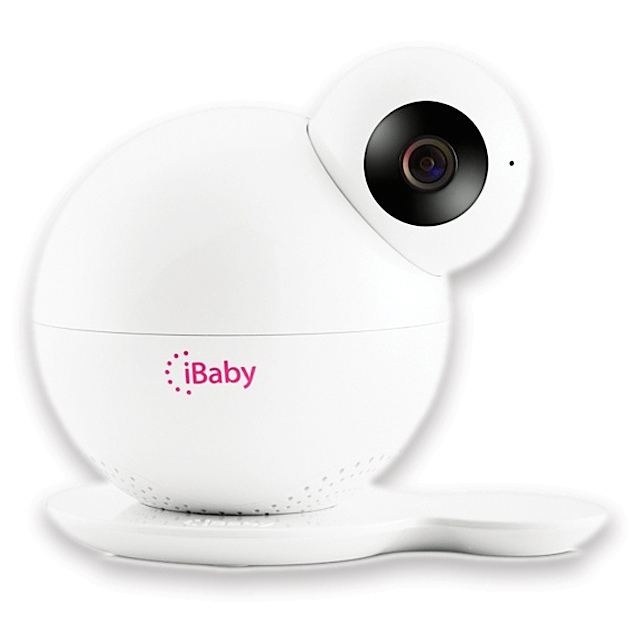 So your Babybjörn-wearing friends don’t lose all their street cred riding around in their new minivans, present them with an iBaby monitor. This high-tech gadget captures baby’s activity in Hi-Def, and even has social media integration to share baby’s every move with over-eager grandparents. Exercise is more fun with friends. 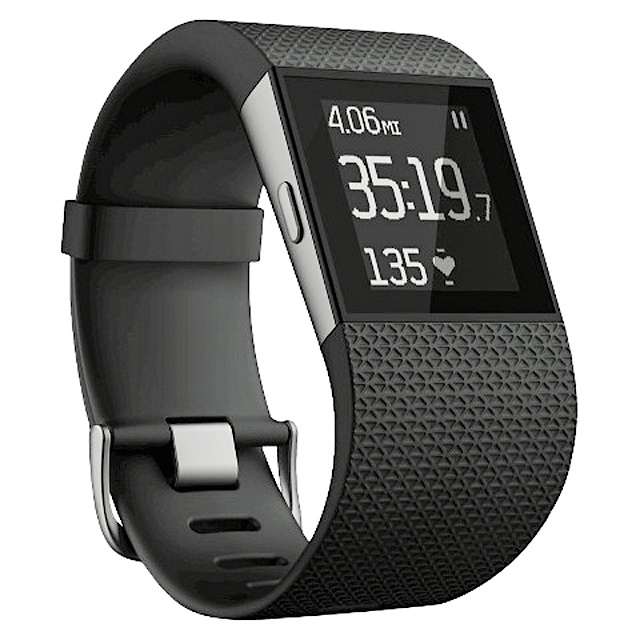 The Surge and her cheaper sister devices encourage you to dare your friends to partake in challenges (via smartphone apps) that might just have you marching bedside in the waning hours of the night trying to outdo that crazy buddy from Colorado who somehow logs 30,000 steps per day. Last year we featured a home brew kit in our gift guide, and after a year of pretending to enjoy your friend’s crappy homemade beer it’s time remind them what beer is supposed to taste like. Each month, twelve 12 oz. 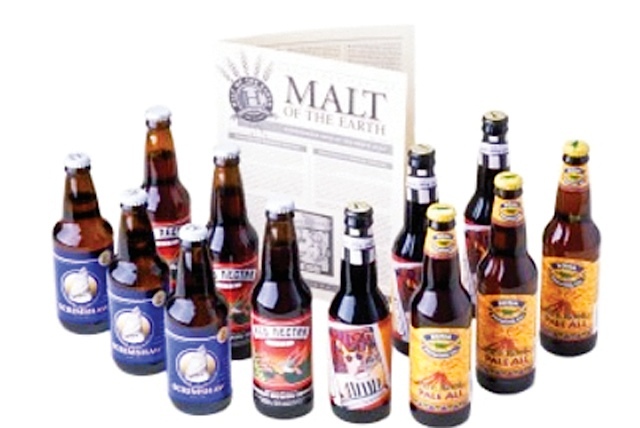 hand-crafted beers from two U.S. microbreweries will arrive by mail, along with a monthly newsletter detailing tasting notes, profiles, brewery histories, and suggested food pairings. Admit it. You tried to balance on your neighbor’s paddleboard this summer. So did everyone else. Get them their own locally at Wai Nani Surf & Paddle. 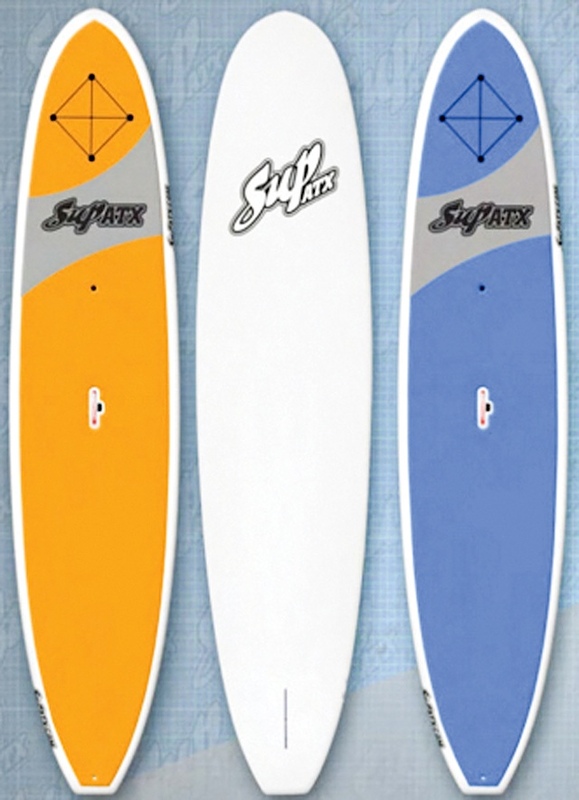 The Adventure board is stable and strong, perfect for beginners, and with a traction pad that allows for passengers and pets.